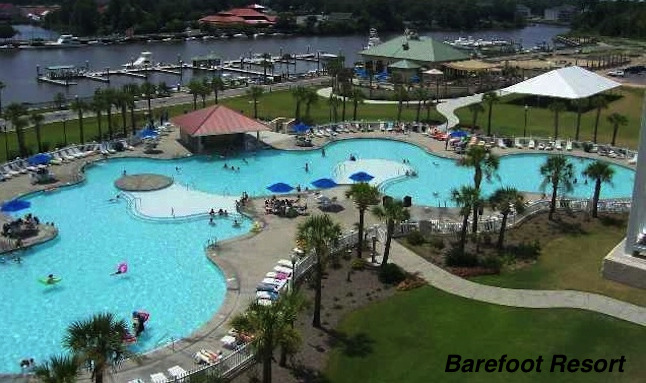 If you’re planning on attending the Carolina Country Music Festival from June 5-7, 2015 and you want to treat yourself to a bit of luxury, check out our Barefoot Resort Myrtle Beach vacation rentals. Don’t spend countless hours searching hotels and resorts that are already filled up. Just come straight to the leaders of the best luxury accommodations in the area and we’ll have you staying in style. That’s our promise to you! Barefoot Resort North Tower and Yacht Club Villa’s are outstanding accommodations that provide beautiful scenic views overlooking the Intracoastal Waterway. Both families and singles alike will find these accommodations to be spacious and located just minutes from the music festival as well as Barefoot Resort Golf Courses of Fazio, Norman, Love and Dye. Why not come for the concert and stay to play what just may be the best golf of your life! We even provide a practice facility so your game is ready when you hit the greens. When you stay at Barefoot Resort you will have easy access to a vast range of dining, shopping and entertainment venues. Barefoot Landing with all its shops and eateries should definitely be on your list of places to visit especially since it’s close by. Furthermore, when you stay here we provide a shuttle service that will bring you to the beach and take you back home again. The shuttle runs hourly so you won’t need to worry about where to park your car. Our accommodations are nicely furnished and beautifully decorated in beach decor. They come with well-equipped kitchens with all appliances including washer and dryer. You’re going to enjoy the whirlpool garden tub in the master bath after a long day at the concert or on the golf course. Or picture yourself lounging beside an expansive 68,000 cubic foot swimming pool. It doesn’t get much better than this! If you need our assistance with booking one of our vacation rentals just give us a call at Grand Strand Resorts, (800) 367-6515, and we will swiftly set you up with the luxurious accommodations of your choice.